The competition this year was unbelievably fierce, the Judges had an extremely difficult time scoring the 140 entries. It was fractions of a point that separated them. If it wasn't for the last 2 Judges sheets, we would have been locked in a tie - It was that close! We will be at your homes this evening sometime after 7pm to deliver the prizes donated by our very generous Mayfair Business Association Members, as well as the coveted lawn signs indicating that you are indeed - 2015 Mayfair Christmas Decoration Contest Winners! 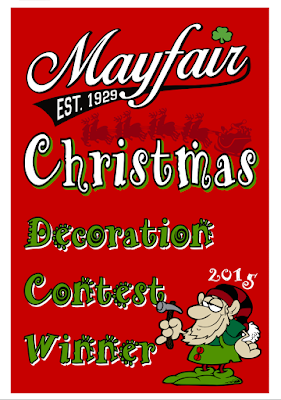 This contest has been a huge success for Mayfair! It has received several written articles about it, and Vittoria Woodhill of CBS 3 did an amazing full length segment on it. It started out only three years ago, but it has already become a family tradition for many. There are several people to thank including all of the the reporters and their editors who covered our Contest, the Mayfair Business Association Members who donated the prizes, Shannon and Aztec Signs for creating our beautiful lawn signs, our 12 Judges who spent a countless amount of hours driving around Mayfair and scoring the 140 entries, Deer Meadows for driving our Judges around in their bus, but most importantly, I'd like to thank the neighbors in Mayfair who went above and beyond this year while decorating their homes. Without you, this contest would not exist. Working together as a community, we have proven that Mayfair is indeed, A Great Place to Visit, and an Awesome Place to Live! Merry Christmas Mayfair - Thank You! This contest wouldn't have been possible without YOU, and the amazing job that so many of you do by decorating your homes for Christmas! It's pretty cool, and it's another GREAT event happening right here in Mayfair! TONIGHT • TONIGHT • TONIGHT! 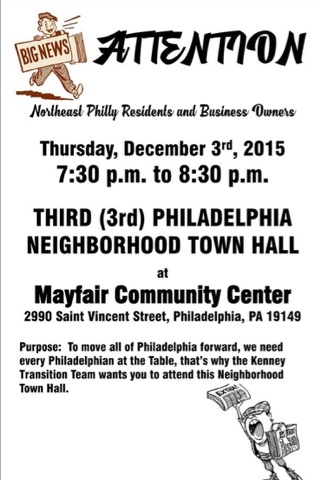 During this meeting, you will have the opportunity to hear about, and weigh in on the future developments of Mayfair. 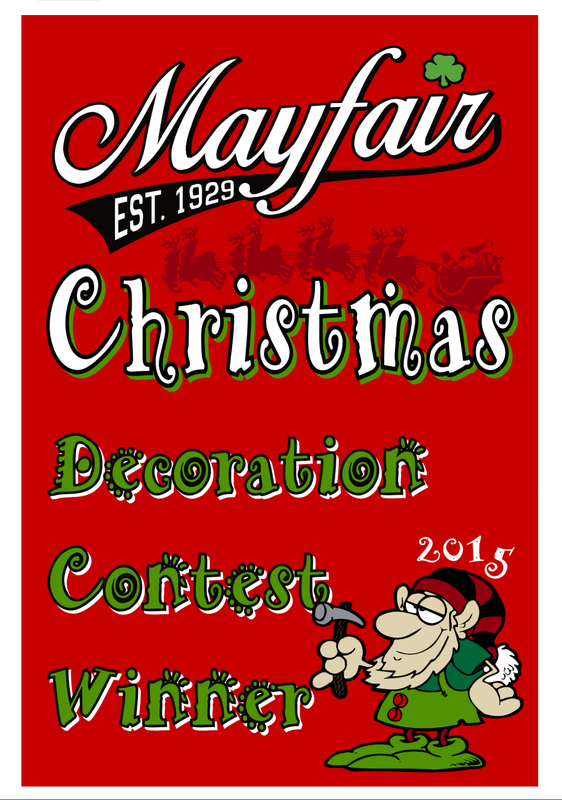 The 2015 Mayfair Christmas Decoration Contest nomination process has now CLOSED, and the Judging begins TONIGHT! The homes look OUTSTANDING, and the judging will be brutal! New this year, contest sponsor Deer Meadows will be providing a bus for several of our Judges to cruise around Mayfair and judge the entries as a group on Thursday night (Dec 17th). This may even include media coverage - Stay tuned! Since it will take over 2 hours for the Judges to cover the entire area, please make sure that your lights remain ON until 11pm! Grab the family and the updated now driver friendly map, and check out the entries for yourselves and let us know which ones you think are the best! The nominations have been pouring in, and the competition is FIERCE! The December 14th DEADLINE is quickly approaching, so be sure to enter your home or business, or your neighbor's home or business that you feel is doing a great job of capturing the Spirit of Christmas before it's too late! TONIGHT - TONIGHT - TONIGHT!! TONIGHT in Mayfair at the Mayfair Community Center​, Mayor Elect Jim Kenney will be holding a Town Hall Meeting from 7:30 - 8:30pm, where he will share his vision for the future of Northeast Philadelphia, and field your questions and concerns. 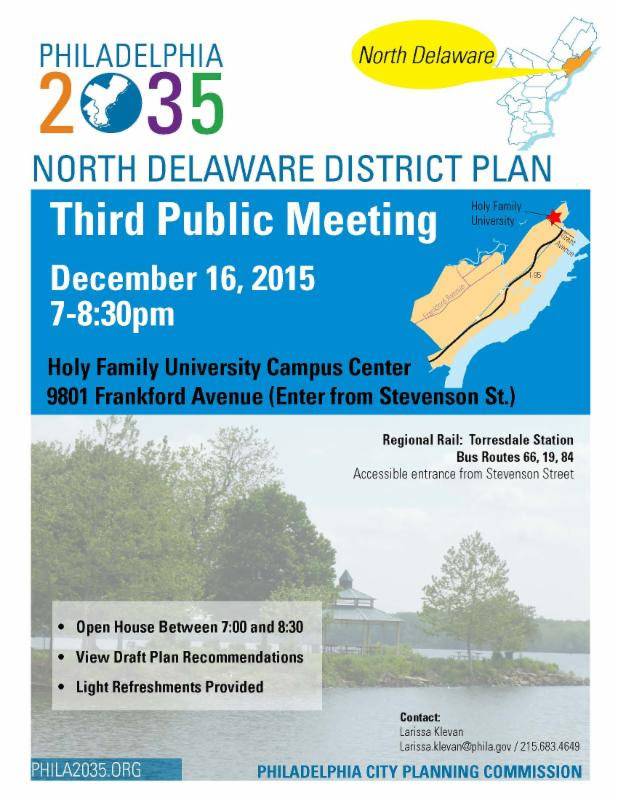 All are invited ... See you there! Tis the Season Mayfair - It's time for the 3rd Annual "Mayfair Christmas Decoration Contest"! Working in conjunction with the Mayfair Business Association, we will be giving away prizes, and the coveted "2015 Mayfair Christmas Decoration Contest Winner" lawn signs to the 3 Best Decorated Homes in Mayfair! New this year, we will also be awarding lawn signs (window signs) to the 3 Best Decorated Businesses in Mayfair as well! Nominations will be added to our Google Map so that everyone can take a tour of Mayfair and see the beautiful entries for themselves. The map will be posted and updated daily on Facebook, and on the MayfairCivicAssociation.com website. As a courtesy to our surrounding neighbors who live outside of the Civic's boarders and are ineligible to win the contest but would still like to appear on the map, we'll be more than happy to include your home on the map as well for visitors to our neighborhoods to enjoy - The more the merrier! Beginning on Tuesday December 15th, 12 Judges will begin to drive around and score each entry on a scale of 1-12, with a 1 being the equivalent of a window cling, and a 12 being the equivalent of a full blown Clark Griswold Christmas Extravaganza! 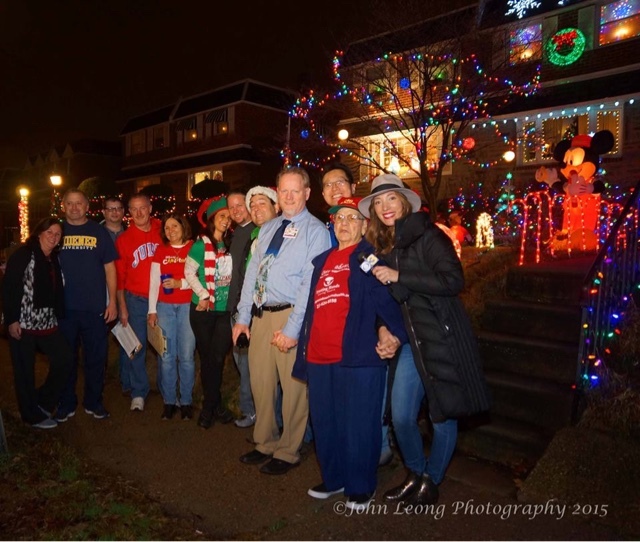 This contest is a team effort, and without the work of the Mayfair Civic Association, the Mayfair Business Association, and our neighbors living right here in Mayfair who go all out during the Christmas Season, none of this would not be possible - PROPS to you all! Together we can ensure that Mayfair continues to be a Great Place to Visit, and an Awesome Place to Live!